The new G30 5 Series now has a proper M Performance vehicle in its range that’s also available in the US. The BMW M550i xDrive model is the beast from Munich that’s faster to 60 than the outgoing M5. 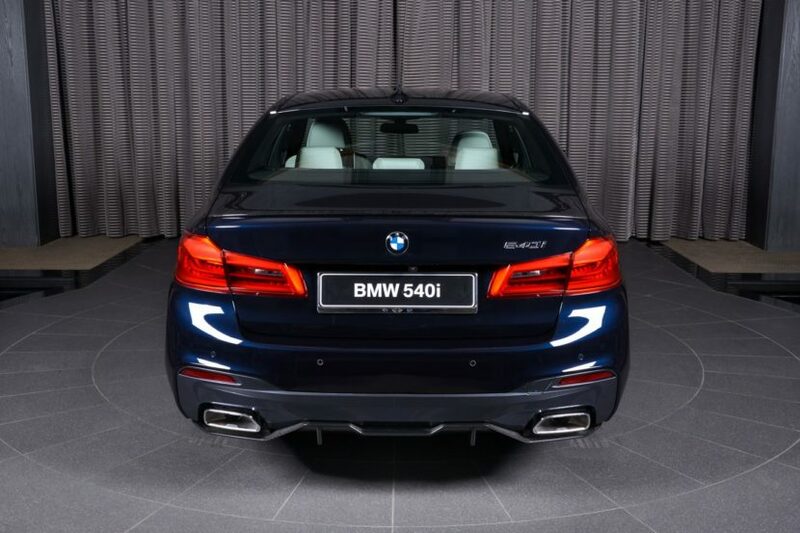 However, customers preferring the smoothness of a straight six engine can now order a 540i and get a host of M Performance parts for it, getting pretty close to M Performance Automobile status as well. 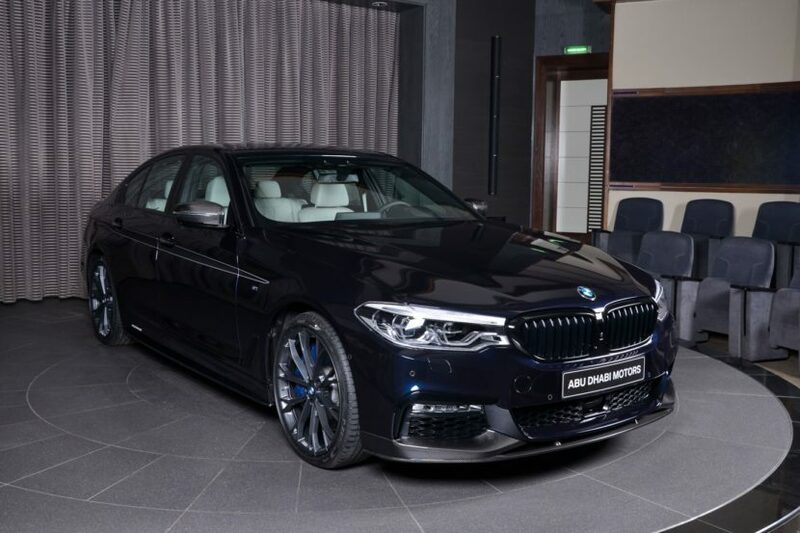 We’re guessing that was the intention of the owner of the beautiful Carbon Black BMW 540i showcased in the photo gallery below. 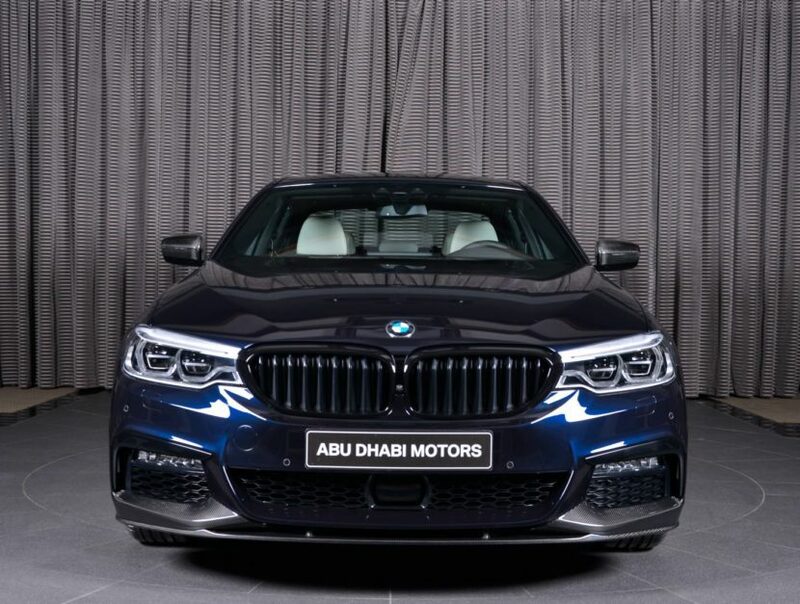 Hailing from the famous BMW Abu Dhabi dealership, this beauty is sporting a serious amount of M Performance parts on the outside, most of them in carbon fiber, of course. Up front there’s a big, imposing new splitter attached to the M Sport front bumper, while between the headlights you’ll notice that the standard chrome kidney grilles were replaced by M Performance ones in gloss black. Down the sides, new side skirts were installed and even the M Performance stripes were added on the doors and front fenders. Right above them you’ll also notice carbon fiber mirror covers. Round the back, the same story continues, with a new carbon fiber diffuser housing the exhaust tips of the 3-liter straight six turbocharged mill under the hood. Up on the trunk cover a carbon fiber spoiler was installed, being so subtle it can hardly be noticed in contrast with the Carbon Black color of the car. It’s quite interesting though that the technical side of things wasn’t upgraded as well. The wheels are not part of the M Performance catalogue, Style 666 rims in Orbit Grey being preferred instead. Furthermore, the brakes seem to be standard too, the blue brake calipers and solid steel disks pointing to the M Sport package. That probably also means that there’s no M Performance Power kit installed under the hood which would’ve taken the power output up to 360 HP and 500 Nm (369 lb-ft) of torque. Nevertheless, this 5er will certainly stand out wherever it may go.